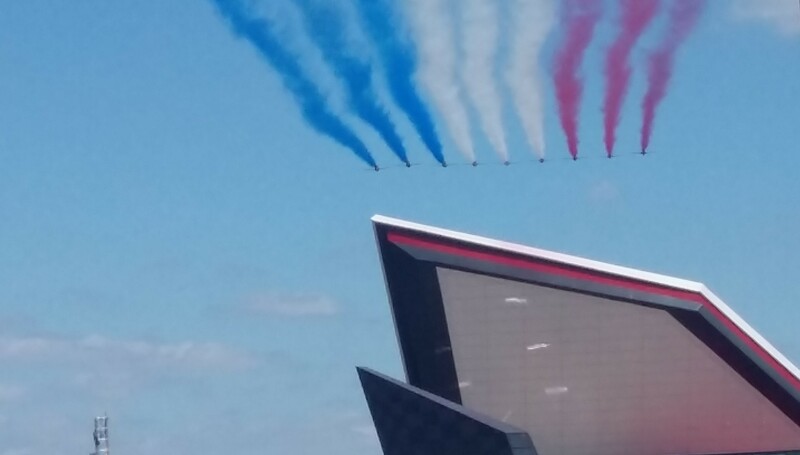 Question: The picture below shows the RAF’s Red Arrows doing their trademark fly-past with red, white & blue smoke. But where are they? 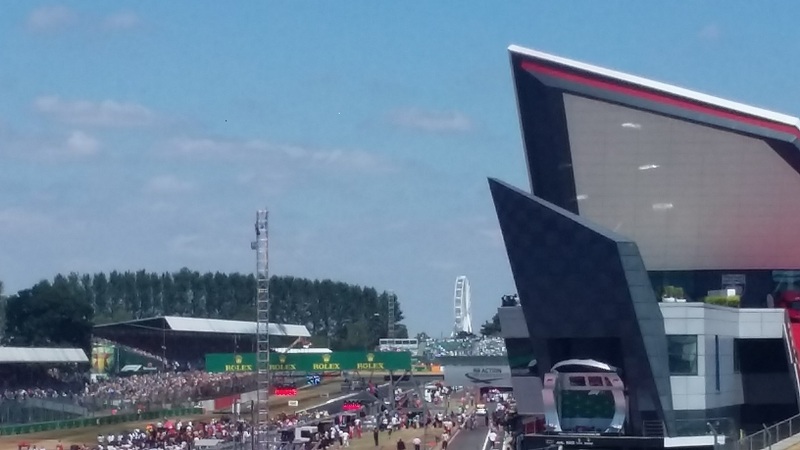 Answer: At Silverstone for the British Grand Prix. The pits on the race track are a building called The Wing, a salute to the track’s bomber base history in World War Two.